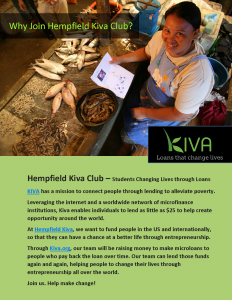 At Hempfield Kiva, we are excited to discover teens taking action to ignite global change in the battle against poverty and lack of funding for too many entrepreneurs. We love stories about kids who inspire others to take real action. We all know people who feel powerless to fight a seemingly unsolvable global problem like poverty and truly have a measurable impact. 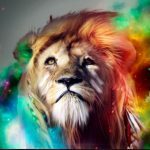 Whether driven by fear, ignorance, or a sense of helplessness, some people sit idly, do nothing, and wait for someone else to fix the big problems..
One local Lancaster County teen did something, proving that taking one positive step toward a fix, and repeating it regularly, can result in a profound and powerful global impact. 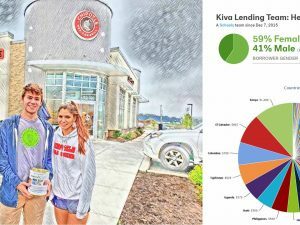 Upcoming Hempfield High School freshman Brandon Koehnke has been dedicated to lending money through Kiva since February 2011 with a goal of improving the lives of impoverished entrepreneurs worldwide. In just five years, Brandon has made a powerful impact on lives all over the world by making 183 loans to borrowers. These loans impact individuals, families, and, often, entire villages resulting in one teenager helping thousands of people. 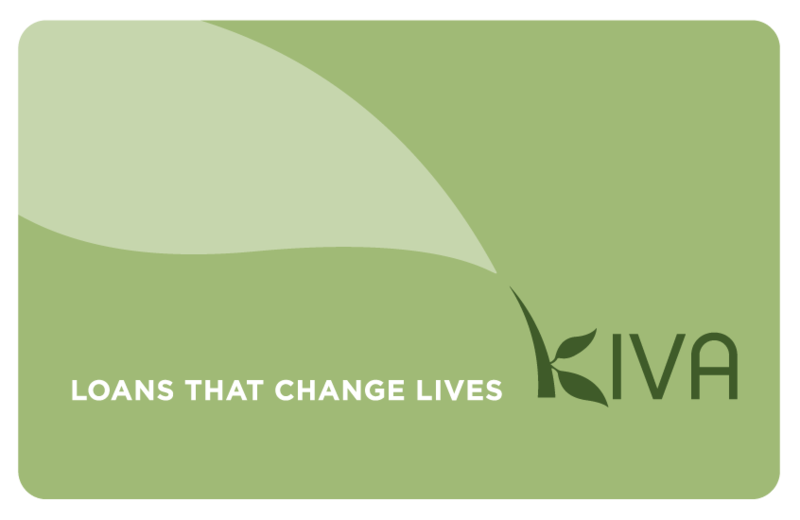 Buy a Kiva Gift Card! So how did Brandon get to 183 loans and nearly $5,000 in loans to entrepreneurial strangers? When Brandon turned nine, he received a birthday card from his uncle that held a Kiva Card for $50 and a note that said, “Kiva lets individuals lend as little as $25 to help create opportunity around the world.” That started Brandon’s interest in learning about people around the world living and working in places far away. Brandon, who says he has always been a giving person, but never had the money to do anything big, became incredibly excited about joining Kiva to help people in need so they could start and grow their businesses. 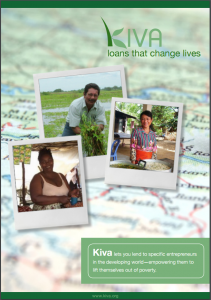 He was inspired by the stories told by Kiva borrowers about their desire to provide for themselves, families, and communities, by creating local, sustainable small businesses. 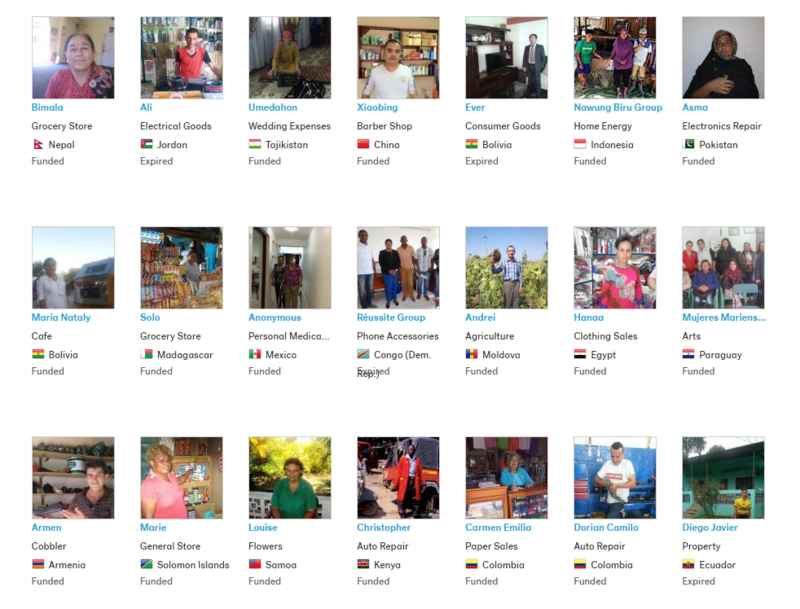 When I first became a Kiva lender, I started out with a $50 gift from my uncle, and added $25 every six months or so. The only job I had then was doing yard work for my neighbor, so I didn’t have a lot of money to loan. 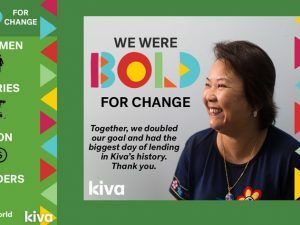 Then, a few years ago, my uncle’s sister-in-law told him that she had about $1,000 invested in Kiva loans, and didn’t have the time to manage reloaning. Thankfully, my uncle decided to transfer the funds to my account which enabled me to select lend to more people. 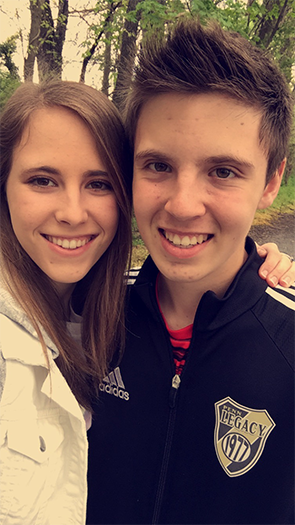 About a year ago, I started working more as a coach, in addition to helping my neighbor. This enabled me to loan double the amount that I was giving previously, which felt pretty great. My philosophy for lending is to always try to lend to a country where I have never lent before. 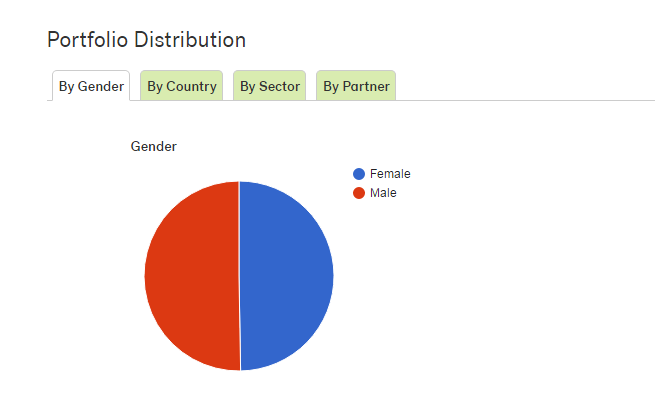 My loans are divided pretty equally between male and female borrowers. 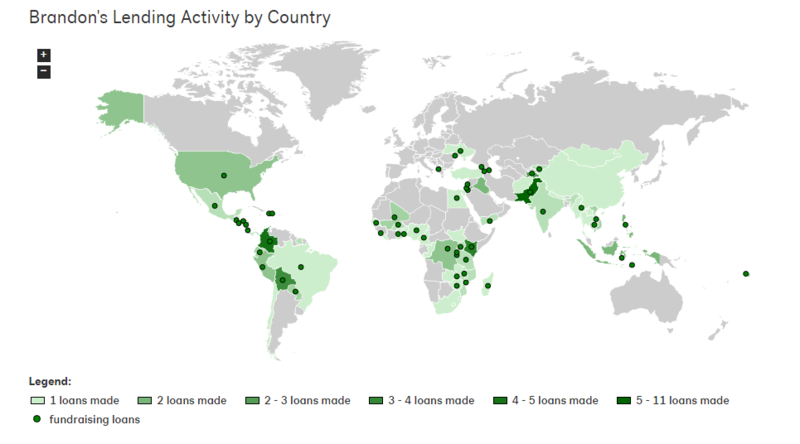 I ran out of new countries for lending to borrowers in new places last year, since Kiva currently offers lending to only 84 different countries. When I select a borrower, I typically look for a loan that is expiring soon, and help that borrower before it is too late for them to receive the funding. I believe everyone’s loans deserve to be funded. I also try to pick a borrower within different sectors and needs like housing in conflict zones or retail in fair trade. 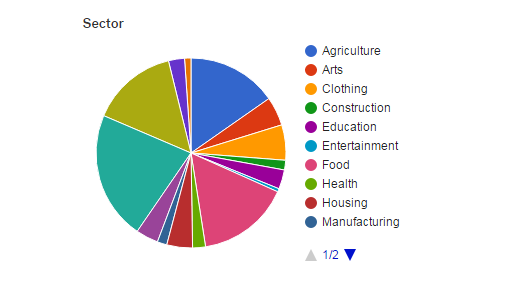 As a result, I’ve focused a good bit on retail, food, agriculture and service sectors. The breakdown is retail 21.86%, food 15.85%, agriculture 15.30%, and services 14.75%. 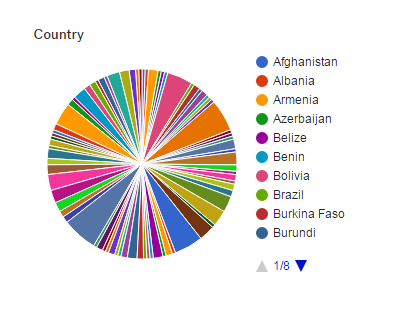 I think that lending through Kiva.org is a good way to get my friends, other schools in the district, younger kids, and other school districts involved in helping people across the globe. I was excited to join the team at Hempfield Kiva, because I have always wanted to be a part of a lending team to which I could relate with people I know personally, so that I could share the experience of helping others with my friends. 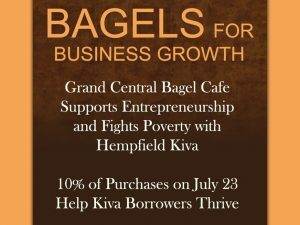 With the start of my high school years, I am hoping that I can encourage more classmates and friends to join Hempfield Kiva, and that I will be able to contribute in an active leadership role to help more people love loaning! The entire team at Hempfield Kiva is eager to welcome Brandon to our club, and can’t wait to learn from his ideas, experience, and generous spirit!